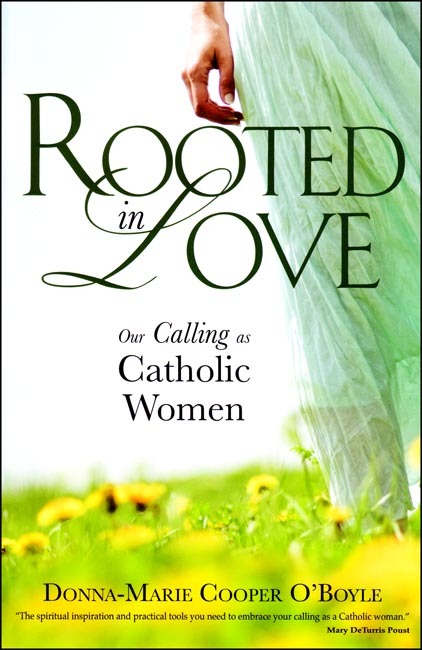 Donna-Marie Cooper O'Boyle, bestselling author and popular EWTN television and radio personality, accompanies Catholic women through the ups and downs of their lives, encouraging them to be reflections of Christ in all things. With warmth and candor, Donna-Marie Cooper O'Boyle demonstrates why she is so beloved by her readers, viewers, and listeners. Through sometimes-unexpected stories from her own journey, she shows that being a faith-filled Catholic woman does not mean being perfect. Rather, in the midst of parenting difficulties, marital problems, economic hardships, and sickness--among other challenges--one finds strength in Christ and in the wisdom and community of the Church. She highlights how the sacraments, the virtues, prayer, Mary and the saints, the works of mercy, and various devotions and practices all offer women grace and guidance for their lives. Copyright 2012. Dimensions: 5.5 x 8.375 inches. Soft cover. 206 pp.